Welcome to the North Canton Hoover Vikings youth soccer players page. This page provides information for youth soccer players about local clubs, recreational leagues, summer camps, and upcoming Hoover High School youth player events. Complete this form to register your 7th or 8th grade child for Indoor Soccer at the Hall of Fame Fitness Center. CAK plays in the State League (permier) and GAASA (Select). Ready for the Next Step? Beyond Recreational Soccer (volunteer coaches, no try outs, intra-community), Travel Soccer (volunteer/part-time coaches, inter-community, local play) and Premier League soccer (professional coaching, local league play, statewide/national tournaments, highest-level competition)! Check out Stark County’s ONLY Premier League soccer club! The Striker youth academy is held every Friday April 12th to May 31st from 5 - 6p.m. at Diamond field #1. The academy is an open session free of charge for all youth ages. Each session will consist of skills training, fitness and scrimmage time. The Community Soccer Club is a private, non-profit organization dedicated to youth recreational soccer in the greater Plain Township Ohio area, including the communities of North Canton, Canton, Louisville, Hartville, and Green. We sponsor teams for boys and girls from pre-Kindergarten through twelfth grade. All teams are made up of boys and girls, but girls in the fifth through eighth grade may play on one of our all-girls teams. Each Day Camp session will focus on skill development for young soccer players. Campers will learn soccer skills and techniques through exercises and games specifically designed for the young player. Campers are encouraged to learn and develop at their own pace under the careful guidance of the director and his expert staff. The emphasis is always on fun and learning. The Malone University men's and women's soccer teams will once again host the Malone Soccer Academy this June. The event will be held under the direction of Malone's coaching staff and student-athletes and will consist of four youth summer camps hosted on the Malone University campus. Walsh holds an anual soccer camp in July for youth players. No details have been sent for this camp yet. 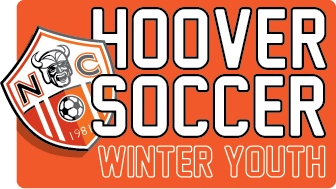 Hoover Soccer will offer a winter indoor session starting in January 2019 for all middle school age players at the Dimond Indoor Fields. The player will play in the high school level league so it will not interfier with other club commitments. The Hoover soccer program will offer footskills by the Hoover High School Coaching Staff to b determined. The location and time will be announced closer to registration. Hoover High school holds an annual youth soccer camp July 16-19 for Kindergarten through seventh graders. The camp is run by the Hoover High School coaching staff with assistance from current High School players. Registration begins in April and runs to July 1st.